This page seeks to provide new and prospective members all the information they need to know . The sections of the club are juniors (ages 6-18), seniors (men and women) and masters 35+ (men and women). Training times, teams and specific information are more fully explained under each section’s page. Mentone will have teams entered in age groups from Under 10 to Under 18 in 2017, together with a strong intra club program for under 8s and under 10s. Mentone will have 6 men’s Teams and 5 women’s Teams in 2017. For more information on the Men’s Section click here. For more information on the Women’s Section click here. MASTERS Mentone will have 4 Mens Masters Team and 3 Women’s Masters Teams in 2017. For more information on the Men’s Masters click here. 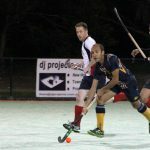 To play Hockey for our Club all players are required to be registered. 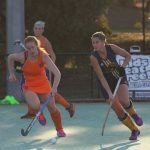 Registration has two parts, firstly registration with Hockey Victoria and secondly registration with the Mentone Hockey Club. 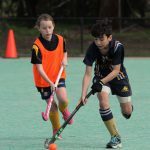 If you have played for another club in Victoria or interstate, a transfer will need to be arranged from your old club. Please contact the appropriate Section Coordinator to help with this. It is better to arrange the transfer before registering with the new club. For section based information, the Section Coordinators are the best point of contact. If the questions are more general and member of the executive will be able to help. See Contact Details.